Xiaomi has a great market in India after its home country China. Though Xiaomi Redmi Note phones are the budget-friendly phones,yet they do not compromise on the quality.The level of equipment they use is similar to the ones used by high-range devices. Xiaomi Redmi Note 2 is an upgrade to the original Redmi Note with a better screen, fast charging among other exciting features. The Redmi Note 2 packs a higher-resolution 5.5 inch IPS display of Full-HD resolution. Redmi Note 2 features a 1920×1080 FHD fully laminated display with pixel density of 400 pixels. It measures 152x76x8.3mm, which is slightly less than its predecessor. Xiaomi Redmi Note 2 weighs 160 g which is 25g lighter than Xiaomi Redmi Note. 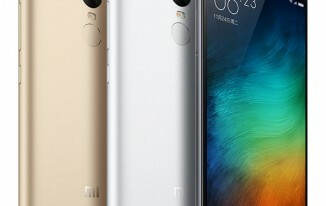 In design, Xiaomi Redmi Note 2 resembles Xiaomi Mi4i. There is no glossy plastic, but it has matte finish now. This device is not prone to fingerprints and smudges.The entire front is covered by a black piece of glass, irrespective of the color of the device. Talking about color, it is available in four colors – white, black, yellow, blue, and pink. The controls are pretty much standard with the front occupied by 5.5-inch display. There is 5MP front camera above the display and bunch of sensors around it. Below the display lie three red capacitive keys with back key on the right. On the right side lie the volume button and power key. There is nothing on the left side of the phone. The back cover of the device is removable so the SIM tray is located on the back side. The top of the phone houses Infrared(IR) blaster, audio jack. The bottom of the phone has the micro USB port, and it supports fast charging. There is no fingerprint sensor in this device. As the back is removable so is the 3,060mAH battery below it. There are a dual SIM bed and microSD slot. The 13MP rear camera and dual LED flash are in the top center of the phone. Redmi Note 2 runs on MediaTek’s MT6795 chipset, also named asHelio X10. It is powered by octa-core 2GHz Cortex-A53 processor and uses PowerVR G6200 GPU for gaming. This phone has the blazing fast configuration with 2GZ octa-core processor supported by 2GB RAM. It offers great processing and will do even for a heavy 3D game. Multi-taskers should be happy with 2GB of RAM. Xiaomi Redmi Note 2 runs on Lollipop (Android 5.0.2). Like other Xiaomi models, this phone also has its own OS layer on top called MIUI OS. It is a highly customizable operating system and has faster response time and less power consumption. There are five default themes – MIUI, High Life, Pink Blush, Rose, and Ocean Breeze but you can also download new themes from the Mi store. MIUI 7 has a new Child mode, which allows you to run apps of your choosing so that your child doesn’t accidentally delete important data on your phone. For selfie lovers, there is a 5 MP front camera with no flash. Xiaomi Redmi Note 2 comes with an internal storage of 16GB expandable up to 32GB. The card slot is below the battery and is thankfully not a hybrid one. Xiaomi Redmi Note 2 is an amazing device which supports quick charging. It comes with a 3,060mAh battery which is removable. Xiaomi Redmi Note 2 is a dual SIM Phone with both slots taking micro SIMs. One SIM supports 4G LTE while the second SIM only supports 3G/2G. Xiaomi Redmi Note 2 also hasFM RADIO among other usual connectivity features like Wi-Fi, Bluetooth, GPS. There is no NFC in this phone, but it has Infrared (IR) blaster. Redmi Note 2 offers higher screen resolution, more processing power, an IR port, and fast battery charging than its predecessor. Xiaomi Redmi Note 2 is a beautiful and powerful slim phone in this range. The expected Redmi Note 2 price in India is Rs8,990. Build quality is good and audio quality is impressive.Redmi Note 2 isn’t the fastest smartphone around, but it did very well across all benchmark tests. Even battery life is pretty good. It only supports SD card up to 32 GB, so if you are a heavy user and like to store a lot of data, take care of this point.